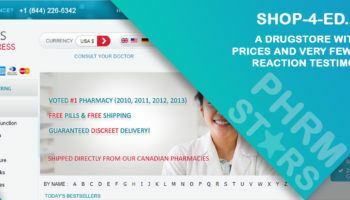 Chemist.Net is an online pharmacy that has its base of operation in the United Kingdom. This pharmacy was established in 2008. This means that it has been operational for a little over a decade now. This drugstore has numerous health products and medication on its catalog. The pharmacy offers both prescription and over the counter medications. On top of offering meds, I noticed that Chemistry.net offers vitamins, food and drinks, baby products, beauty products, fragrances, pet care products, sexual products, and mobility devices. I decided to see whether anyone who had problems getting and maintaining a strong erection would get a solution at Chemist.Net. I managed to locate various brand Viagra versions. One tablet of the normal Viagra would cost the buyer £6.45 which is equivalent to paying $8.49. The other Viagra version available is Viagra Connect. Each pill of the medication would cost £4.75 which is the same as $6.25. Generic Viagra is worth £1.55 a pill which is the same as $2.04. After going through all the products that Chemist.Net offers, I could not locate even a single controlled medication. This online pharmacy only sells FDA-Approved medication. The payments options available at Chemist.Net appeared to be secure to me. The pharmacy accepts payments via credit cards. The cards you can use to pay for your products at Chemist.Net include Mastercard, Maestro, VISA, and DELTA. I found 2 methods of shipping that the drugstore uses to deliver medications to their customers. The shipping costs for the 2 methods are different depending on where you live. The shipping methods include Standard Delivery and Express Delivery. In the UK the standard shipping will cost $4.33 and it will take 2-3 working days for your order to arrive. Express shipping will cost $13.09 and it will take 1 working day. Outside the UK, in the European Union, the standard delivery will cost $13.09 while in the rest of the world it would cost $20.98. 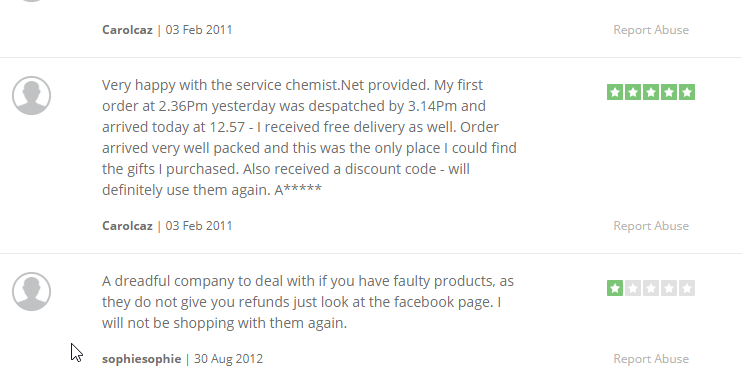 The first reviewer who calls himself Carolcaz says that he is very happy with the service he received from Chemist.Net. After placing his order, it was processed and dispatched promptly. The medications arrived after only one day. The order was well packaged. He also managed to find a discount code. He says that he will be ordering again from the drugstore. Sophie says that Chemist.Net is a dreadful pharmacy to deal with. She indicates that when you get faulty products, getting refunds is not possible. She will not be shopping from the pharmacy again. 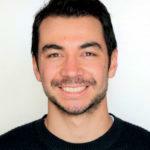 The above reviews tell you that it is possible to get great services. 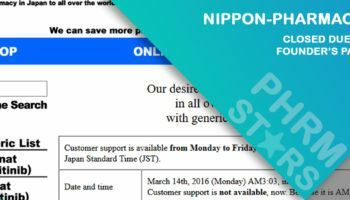 However, it is also possible to get bad services like Sophie. The best thing you can do when choosing a pharmacy to shop from is to select a pharmacy that has the highest number of positive reviews. The reviews should tell you whether to trust or not trust a drugstore. I decided to find out whether the services that Chemist.Net offered in the previous years had changed in any way now that we are in 2018. Ken Barker says that the services offered by Chemist.Net are fantastic. The pharmacy was one of the few places which sell the product he needed. The delivery was quick. His product got delivered to him after only a few days. Rebecca says that she has been trying to get her product for 6 weeks now. She has made numerous phone calls and also sent a large number of emails. Still, her product has not arrived and neither has she gotten her refund. The pharmacy does not even reply to her emails and they don’t answer phone messages. When her phone call was answered once, she was informed that her product had been sent to the wrong address and it would be re-shipped to the right address. 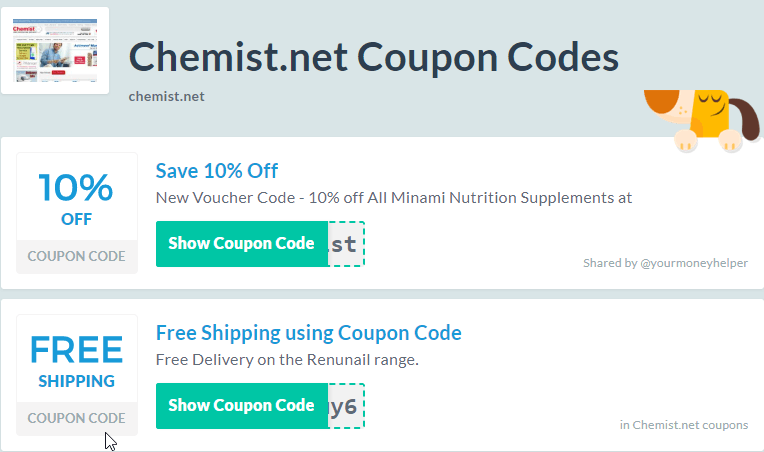 The first coupon code will allow you to pay 10% less for your Minami Nutrition supplements. When you use the second coupon code, you will get free shipping. It is worth noting that for people in the UK, shipping is offered for free for all packages which cost $52.58. Chemist.Net had numerous reviews on third-party sites. Over 80% of the reviews were positive. This shows that this pharmacy can be trusted. 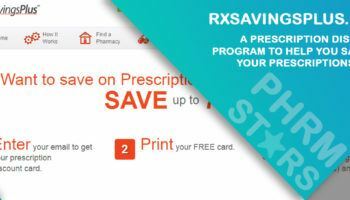 The pharmacy has a big catalog which makes it easier for people who need to shop for multiple health products at the same pharmacy. Some of the things I did not like include the fact that the pharmacy will require the buyer to have a prescription to get drugs. The price of the medication at Chemist.Net was also little bit high too.